West Bend Provides a Silver Lining. The worst brings out our best. West Bend is a great place to work! West Bend recently received special recognition as a great workplace from the Milwaukee Journal Sentinel, as well as Great Place to Work® and Fortune Magazine. 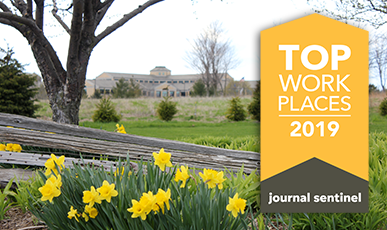 West Bend ranked number two in the large company category on the Milwaukee Journal Sentinel’s list of Top Workplaces in Southeastern Wisconsin. This is the eighth consecutive year we’ve ranked in the top four! West Bend President and CEO Kevin Steiner also received a special leadership award. Great Place to Work® and Fortune Magazine named West Bend one of the Best Workplaces in Financial Services & Insurance. Inclusion on this list is primarily based on anonymous survey feedback from employees about their experiences of trust and reaching their full human potential as a part of their organization, no matter who they are or what they do. The remainder of the ranking is based on an assessment of all employees’ daily experiences of innovation, the company’s values, and the effectiveness of their leaders to ensure they’re consistently experienced. Learn more about what makes West Bend a Best Workplace. These awards validate West Bend as an employer of choice in our industry. We thank our associates for continuing to make West Bend a great place to work! Are you a West Bend Home and Highway® customer who lives in Illinois, Indiana, Minnesota, or Wisconsin? If so, you could receive a $50 prepaid MasterCard® or an Amazon promo code just by referring a friend or family member! If you would like to refer someone, simply provide us with your information online or print, complete, and mail this form to the address listed on it. 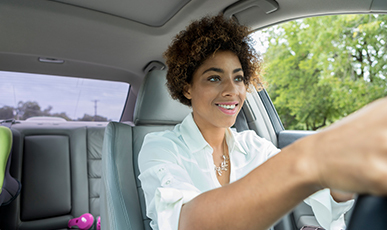 If the person(s) you refer becomes a Home and Highway customer, we’ll send you a $50 prepaid MasterCard or an Amazon promo code! It’s a win-win! You make an easy $50. Your referral can begin to enjoy all the great benefits a Home and Highway policy offers, including the cash-back claim free award, guaranteed replacement cost for their home, and identity theft protection, all while taking advantage of the convenience of one policy, one bill, and one deductible for their home, car, truck, boat, motorcycle, snowmobile, and more! 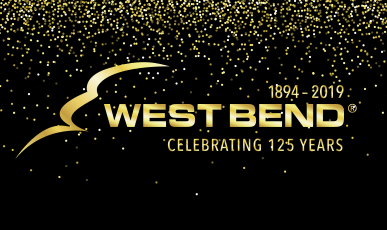 West Bend celebrates 125 years! In 1893, a fire roared through West Bend, Wisconsin. This tragedy was one of the worst for our community and touched the lives of many people. Incorporated on April 13, 1894, West Bend Mutual Fire Insurance Company was created because local business men wanted to protect their property from the dangers of fire and lightning at the lowest possible cost. They formed a mutual insurance company, one in which policyholders insure one another. Even then we began to show that something good can come from something bad.